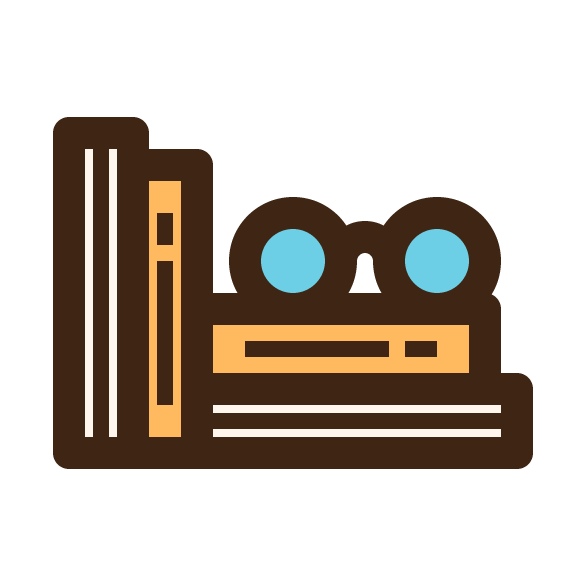 In today’s tutorial, we’re going to tackle a new project, and learn how to create a nice little book icon, using some basic geometric shapes and tools found within Illustrator. That being said, poor yourself a fresh cup of that magic bean juice and let’s get started! 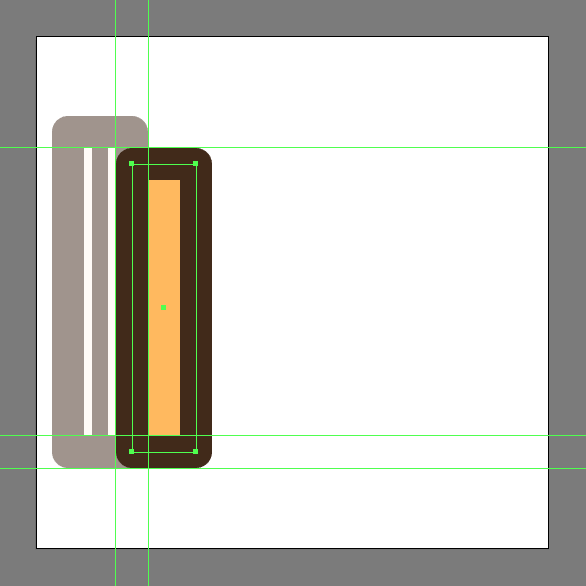 Start working on the first of the two vertical books, by creating its inner body using a 16 x 80 px rectangle, which we will color using #FFF7EE, and then position at a distance of 8 px from the center of the underlying Artboard’s left edge. Give the shape that we’ve just created an outline using the Stroke method, by creating a copy of it (Control-C) which we will paste in front (Control-F) and then adjust by first changing its color to #3F2514, and then flipping its Fill with its Stroke (Shift-X) making sure to set its Weight to 8 px and its Cap to Round Join from within the Stroke panel. 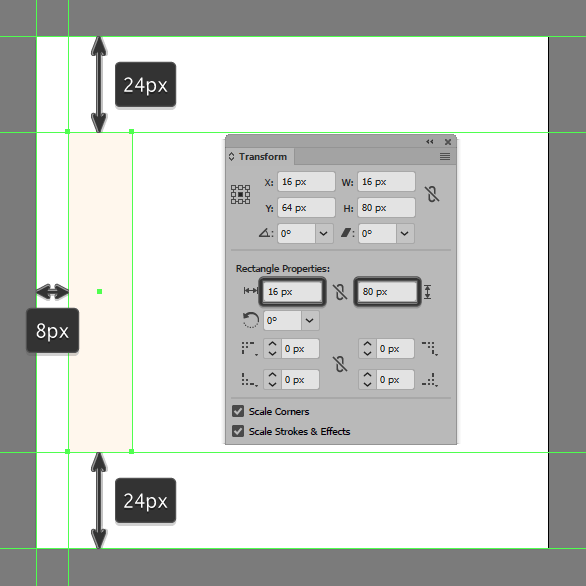 Add the vertical detail line using an 80 px tall 4 px thick Stroke (#3F2514), which we will position to the center of the book, making sure to select and group all of its composing shapes together afterwards using the Control-G keyboard shortcut. 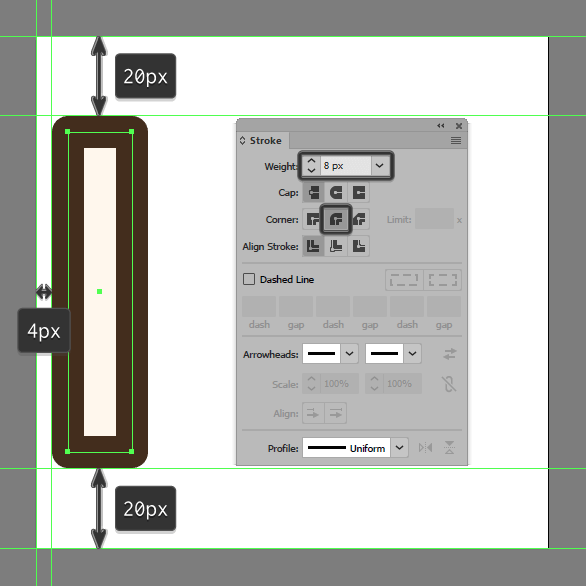 Create the second book’s outer body (or spine) using a 16 x 72 px rectangle (#FFBA5F) with an 8 px thick outline (#3F2514), which we will position onto the right side of the previous book as seen in the reference image. 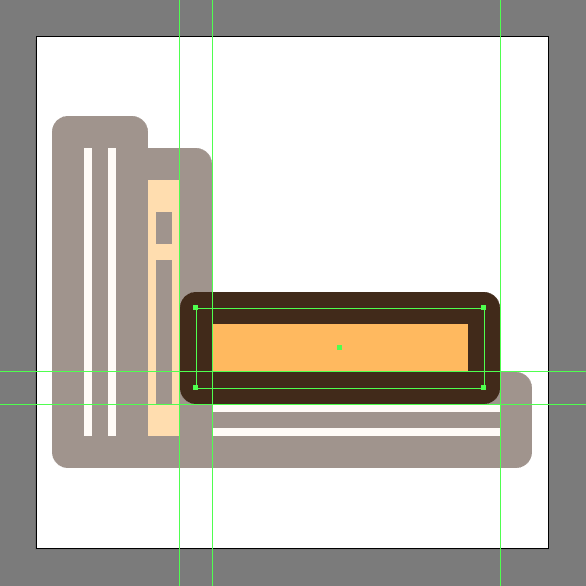 Add the dummy text lines using an 8 px tall 4 px thick Stroke (#3F2514) vertically distanced at 4 px from another taller 36 px one (#3F2514), which we will group (Control-G) and then center align to the previously created shapes. Once you have the lines in place, select and group (Control-G) all of the book’s composing sections before moving on to the next step. 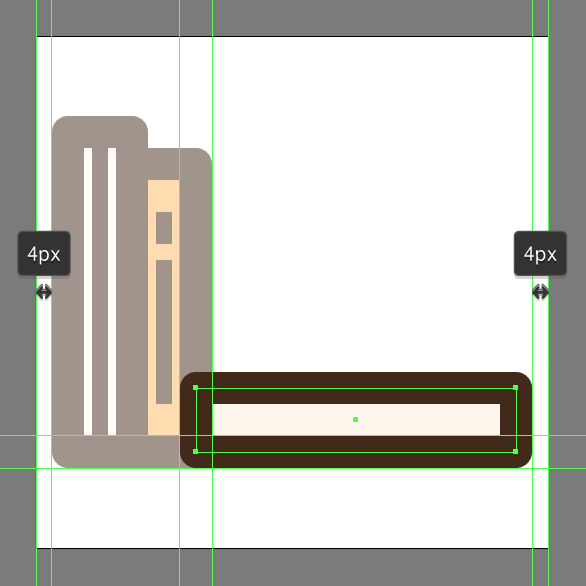 Create the main shapes for the bottom horizontal book using an 80 x 16 px rectangle (#FFF7EE) with an 8 px thick outline (#3F2514), which we will position to the right side of the vertical ones. 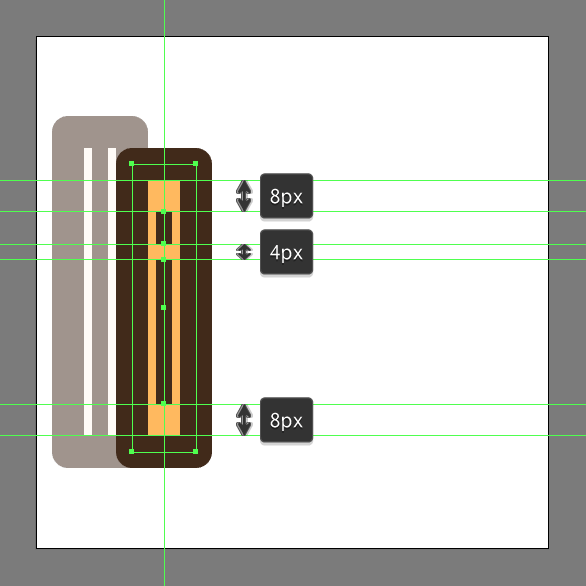 Add the horizontal detail line using an 80 px wide 4 px thick Stroke (#3F2514), which we will center align to the previously created shapes. 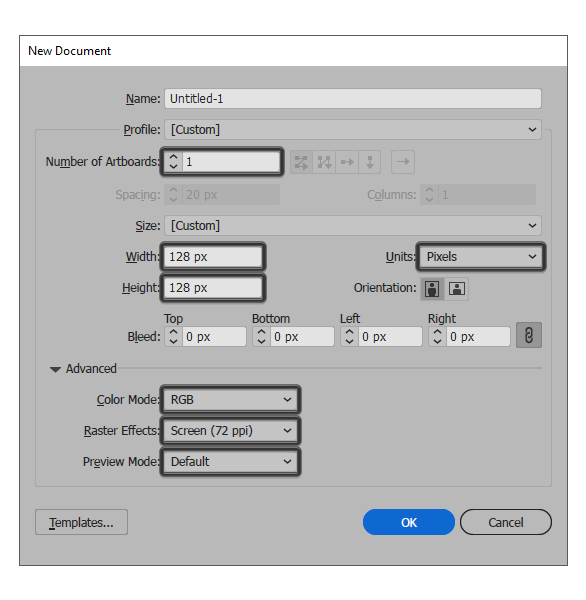 Once you have the line in place, select all of the current book’s composing sections and group them together using the Control-G keyboard shortcut. 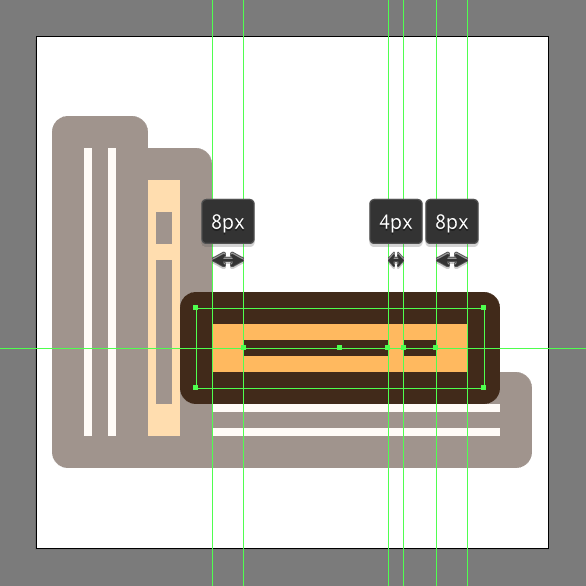 Start working on the second horizontal book by creating its main body using a 72 x 20 px rectangle (#FFBA5F) with an 8 px thick outline (#3F2514), which we will stack on top of the wider one that we’ve just finished working on. 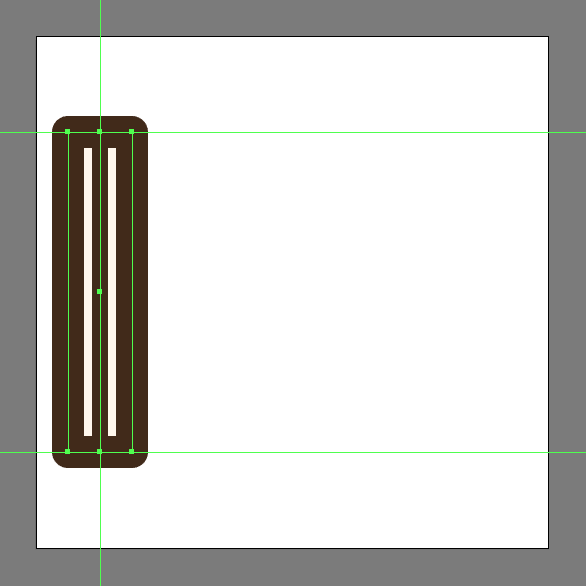 Add the dummy title using a 36 px wide 4 px thick Stroke line (#3F2514) horizontally distanced at 4 px from a smaller 8 px one (#3F2514), which we will group (Control-G) and then center align to the previously created shapes. Once you the title in place, select and group (Control-G) all of the book’s composing sections before moving on to the next step. Since we’re pretty much done working on the books, we can shift our focus towards the glasses by creating the right lens using a 24 x 24 px circle (#6CCFE5) with an 8 px thick outline (#3F2514), which we will group (Control-G) and then position onto the top horizontal book as seen in the reference image. 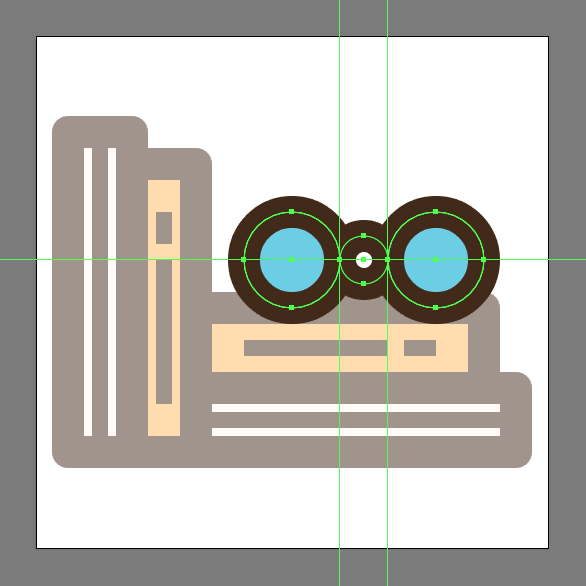 Add the left lens using a copy (Control-C > Control-F) of the one from the previous step, which we will position onto the left side of the original, at a distance of just 4 px. 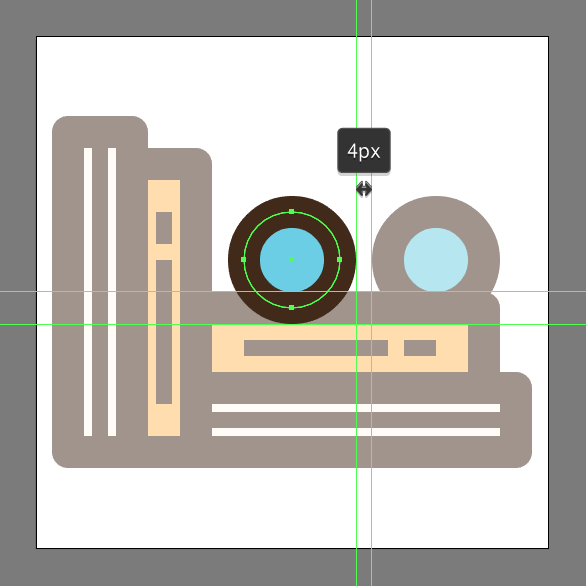 Create the bridge section connecting the two lenses using a 12 x 12 px circle with an 8 px thick Stroke (#3F2514), which we will position right between the two as seen in the reference image. 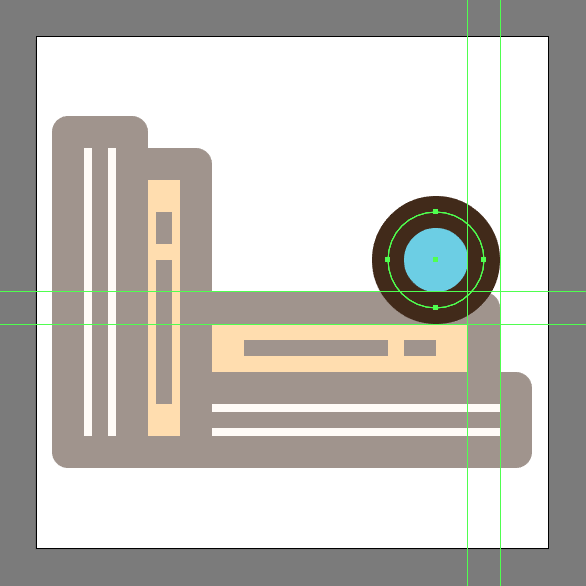 Finish off the bridge and with it the icon itself, by selecting its bottom anchor point using the Direct Selection Tool (A), and then removing it by pressing Delete. Once you’re done, select and group (Control-G) all of the glasses’ composing sections, doing the same for the entire icon afterwards. 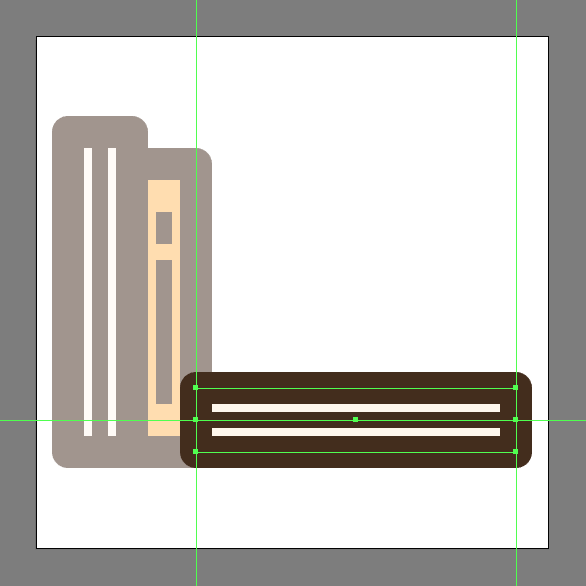 There you have it fellow readers, a nice and easy tutorial on how to create your very own stack of books icon. As always, I hope you’ve managed to follow each and every step, and most importantly learned something new and useful during the process.